While deployed in Northern Iraq with U.S. Army, one of the things Butch Whiting and Josh Cleghorn missed the most was time spent in the outdoors. The two soldiers found that they not only shared the inseparable of brotherhood of soldiers at war – they also shared a deep love for extreme big game hunting. To take their mind off combat, they relived hunting trips by swapping stories and watching old hunting DVDs. They started to discuss their dissatisfaction with current options for hunting clothing and gear and before they knew it, that discussion had turned into the initial plans for what is now known as Kryptek Outdoor Group. 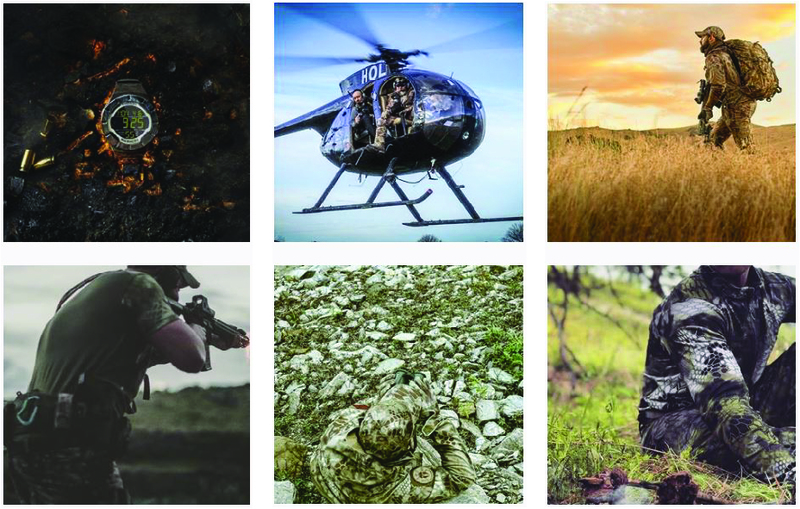 Kryptek creates clothing and gear that has completely changed camo design used in hunting and military clothing. By focusing on designing for performance in the field rather than shelf appeal, Kryptek quickly caught the attention of big name brands and branches of the military due to its unmatched quality and design. Originally launched in Alaska, Butch and Josh were soon fulfilling orders for stores across the U.S. and for coalition military units across the globe. They realized that they needed to be in the lower 48 for logistics and chose Eagle, Idaho, as their new home base. In addition to having access to some of the best hunting land in the nation, being based in Idaho has allowed the team at Kyrptek to rigorously test products and continue to improve designs – something that is an absolute necessity for gear that is used in the battlefield and the backcountry. Kryptek is proud to outfit our nation’s warriors and extreme hunters in top-notch gear that has been Tested in Idaho and beyond.